Alenco Windows began to take root in Olathe, KS in 1986. Back then, the company was offering installation services for vinyl sidings. This was the sole offering for their home improvement service. The business then grew with the introduction of a wider package of the finest products and excellent customer services for Kansas City clients. Now, they have grown with their own headquarters, showroom, warehouse and production site located in Lenexa, KS. 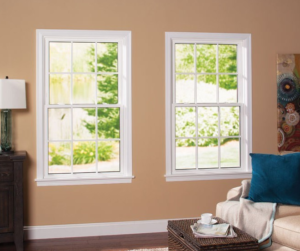 The Alenco Replacement Window line is of high-caliber and can be custom-fit for any home unit. Their product range is ensured to provide homes with much-needed protection against variable weather elements. These are also crafted to prevent forced entries, stipulating optimal protection. Moreover, their replacement windows are fashioned with the purpose of attaining energy-efficiency in any home. By collaborating with Thermal Industries, their windows are scientifically proven to be cost saving without compromising quality. Interior woodgrain finishes are also available for the various window styles. Some of their popular finishes are: Caramel oak woodgrain, dreamwood, honey oak woodgrain, and natural woodgrain oak.With the help of Thermal Industries, the company offers replacement window products with state-of-the-art sealing and glass technologies, such as: Super Spacer Warm-Edge Technology seals and LoE2 Glasses. The company has also implemented the Super Peak Performance™ system into their products. This is a structure of three panes of glasses: Double panes of LoE2 Glasses sandwiching a pane of clear glass. To serve as an effective thermal barrier, the spaces in-between the panes contain Krypton gas, which is denser than the industry’s most widely used element, Argon. The presence of Krypton also muffles external noise, providing a comfortable home interior environment. This glass structure is crafted and sealed with the help of the Super Spacer Warm-Edge Technology. The coating used in Super Peak Performance™ glasses effectively repel the sun’s rays and heat, making them the perfect ultraviolet ray protectors and comfort-providers in the summer. Conversely, the same glasses are capable of trapping heat within a home, making them immensely useful and energy-proficient in cold weather. Clearly, this technological advancement in window replacements outshines aluminum spacers when it comes to thermal longevity. Alenco has a record of accomplishment of very satisfied clients, and not just on their replacement window products. Their degree of professionalism and care for homeowners’ needs have earned the respect and trust of the greater community of Kansas City. Services aside, their window products are also referred to as being energy-conserving, noise-muffling, and exuding elegance. 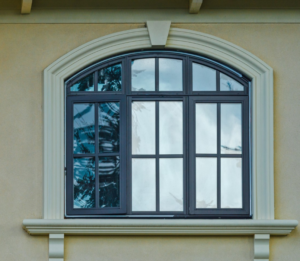 The company offers free estimates for various window replacement projects. In-house consultations are also available and can be availed of by submitting required information through their website page at http://alenconline.com/products-services/replacement-windows. Prospective clients are fully free of obligation and their information is secure. Repeatedly, the company offers special offers for bulk purchases of windows. Interested homeowners can see these promotions on their website at http://alenconline.com/specials. All of their products come with a lifelong, transferable warranty. Tax credits are also available with every Alenco window upgrade, which can amount up to $500. If you are considering window replacement for your home, you can find more information and request your no-cost, no obligation windows replacement estimate by filling in your ZIP into the form provided on this page. Why not see if we can make you great savings on your next windows project? This will help you to connect with local contractors who will be happy to personally visit your home and offer you an absolutely FREE window replacement price estimate to suit your unique requirements.